Romance has been brewing on the island between Neilly Beag and Granma Mainland and everyone is thrilled when they announce that they are to be married. Everyone, that is, except Grannie Island. 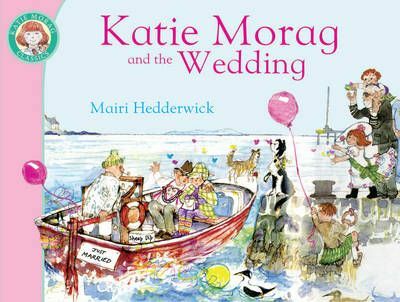 For some reason that Katie Morag can't fathom her granny is not happy at all. But Granma Mainland has a surprise in store for Grannie Island, one that makes her very happy indeed!